Few would equate undergraduate student digs with business acumen. 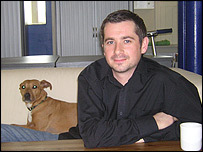 Yet, in 1997, Bristol students Mike Bennett and Stuart Avery defied everyone's expectations when, while revising for their final exams, they started digital communications company E3 Media from their bedsit. Since then, the two men have turned 30 and their company has matured into a diversified business offering everything from website design and CD-Roms, to marketing campaigns and computer-based presentations. Marching steadily through the late 1990s bursting of the dotcom bubble, today E3 enjoys a number of bluechip clients. These range from mobile phone giant Orange, to clothing firm French Connection, car care products and bike shop Halfords, and the National Express bus company. E3's offices have also grown to house its 35-strong workforce. It is now based in a stylish office in a converted former tobacco factory near the Bristol waterfront. "Its been a combination of hard graft and luck, and never underestimate the luck part," says Mike Bennett. "We were really lucky in that we won the Orange contract five years ago, which will still have, and that really steamrolled the business." With most of E3's competitors based in London, Mr Bennett says being based in Bristol has never been a problem. "With the internet you can be based anywhere," he says. "If a client wants to see us face to face, we can easily go to them." Mr Bennett says there are now five other similar digital agencies in Bristol, and he would like to see the sector grow in the city to form an established community, both to take on London and to more easily attract the industry's bright young stars. Marketing professional Saswata Sanyal, 25, agrees that there is no need to be based in London to be ambitious and media-savvy. From his base, about 170 miles south of Bristol, in Redruth, Cornwall, the Indian-born business man is busy turning around a group of companies. 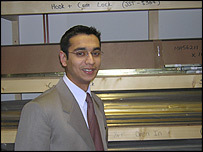 He has been doing this for three years after joining the Rowe Group - a diversified business whose interests stretch from computers, to construction, to property investment and to joinery - straight after graduating from De Montfort University in Leicester. The young marketing manager's first job was to turn around Rowe subsidiary Clearwood Joinery. Mr Sanyal believes marketing involves gaining a thorough understanding of each and every part of a company, which then has to be improved alongside more typical marketing efforts. Having put his theory into action, he has helped push Clearwood's annual turnover to £2.6m in three years, from just £500,000. In 2004, his efforts earned him one of just five Business Leader of Tomorrow Award, a prize awarded by the Department of Trade and Industry's Knowledge Transfer Partnership under which business and management graduates are given their first jobs in industry. "It is also nice to be able to show that Cornish businesses can compete," he says.